Located in the Warehouse District, Briquette is housed in the former Rodd Brothers Molasses Refinery, which dates from the 1800s. Briquette features a contemporary, yet casual, restaurant interior marked by our signature open kitchen. 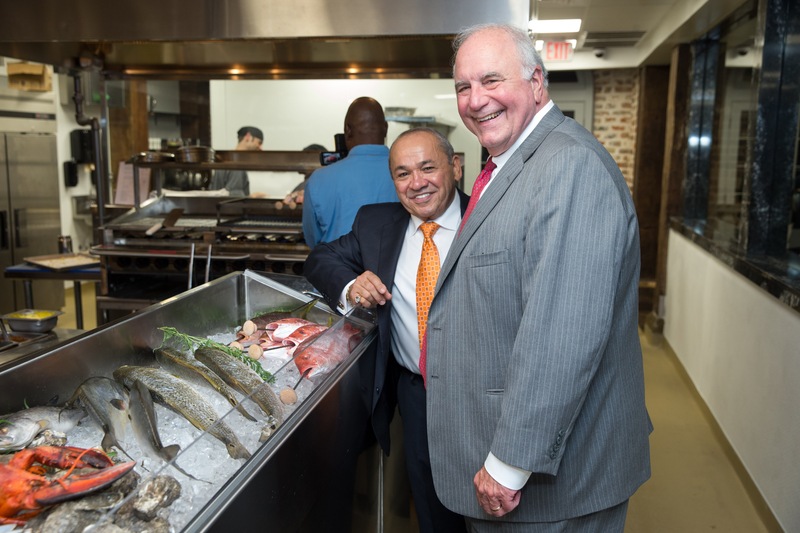 It features an enticing 18 foot seafood display filled with fresh sea bass, halibut, steelhead salmon, Louisiana redfish, and many other seafood favorites. Fresh fish are prepared over red-hot briquettes bestrewed in the finest flavored oil. We offer an extensive wine list and beautifully crafted cocktails. Briquette is proud to showcase contemporary and coastal dishes like Snapper Pontchartrain, Louisiana Redfish on the Half Shell, and Peppercorn Crusted Strip Steak. You’ll feel right at home with our inviting bar and community tables which facilitate a living room like setting. We look forward to seeing you at Briquette, New Orleans. Book your event at Briquette!